Wheaton: The military move experts. At Wheaton, we see it as our responsibility to make all moves as hassle-free as possible, and this is certainly just as true for all of our military moves and government relocations. Our team of agents, drivers, and move managers will work closely with you to ensure that everything runs smoothly, and the individual or family being moved is well taken care of. Those who serve our country, whether in the military or through governmental agencies, deserve to be served. Wheaton will be there every step of the way to make sure that their needs are met, and we will never cut corners on quality and safety. That’s why we’re proud to be a top service provider for the General Services Administration. Our dedication to quality and service is the reason we consistently score highly on GSA Performance Index customer satisfaction surveys, and we’ll bring that same dedication to your move. Wheaton is qualified under and supports the General Services Administration Centralized Household Goods Traffic Management Program (CHAMP). This program provides federal civilian agencies a framework for efficient and economical transportation of their employees’ household goods from one official duty station to another. Through the CHAMP Transportation Management Services Solution (TMSS) system, we coordinate moves with those federal agencies that prefer to administer their relocations through this GSA system. To file a claim for loss or damage: 800-932-7799, or email claims@wvlcorp.com. For U.S. Federal Government or General Services Administration moves (non-military related): 800-932-7799, ext. 472, or email fedgov@govmove.com. 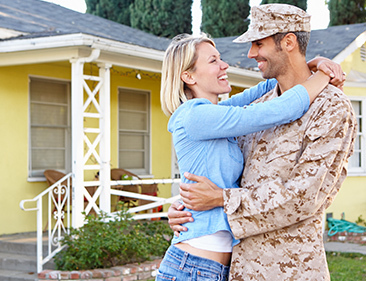 The documentation required for military moves can be tough to keep track of, so we’ve provided some additional resources and handy documents to help you with your move. If you don’t see what you’re looking for here, please contact us directly.